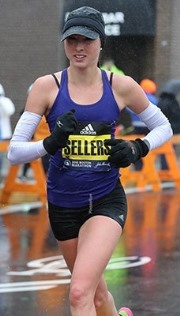 Sarah Sellers is the 2018 Boston Marathon Second Place overall women’s finisher. She outlasted all runners but one in terrible weather that took its toll on her competition that included five Olympic and World Championship medalists, three former Boston Marathon champions, four of the five fastest American female marathoners in history, and 10 women who had run faster than 2:23 - more than 20 minutes faster than Sellers’ only previous marathon. Sellers won the 2017 Huntsville (Utah) Marathon. Sarah competed collegiately for Weber State and was a nine-time Big Sky champion at 3,000 meters (indoors), 5,000 meters (indoors and outdoors) and 10,000 meters (outdoors). She was a major factor in Weber State winning Big Sky Conference team titles in Indoor Track and Field and twice in Cross Country. At Ogden (Utah) High School Sarah won State Championships in Cross Country, 2-Miles (indoors), 1,600 meters and 3,200 meters (outdoors) and led her Ogden team to the State Cross Country Championship. Her personal best times are: 800m – 2:14.14; 1,500m – 4:27.13; mile (indoors) 4:51.09; 3,000m (indoors) 9:25.04; 5,000m (outdoors) – 16:01.47; 5,000m (indoors) – 16:00.95; 10,000m – 32:51.17; half marathon – 1:14:15 and marathon – 2:44:04. Sarah graduated from Weber State in 2013 and completed studies at Barry College in 2017 to become a nurse anesthetist. She lives in Tucson Arizona with her husband, Blake, and was gracious to spend an hour and a half on the phone during a day off from work in mid-May, 2018. GCR: It has been about a month since you finished in second place in the 2018 Boston Marathon. Since you are back to your job of working as a nurse, you’re married and you have typical everyday routines, does it almost seem like a dream and has it sunk in what you accomplished? SS I think it probably took a week to get back to normalcy. But now a lot of the logistics are there. I’m back in training and back at work so it doesn’t feel as much like a reality as it did that first week. GCR: It is often said that ‘no one remembers second place.’ But because of the way this year’s race played out, have you found it to be quite the contrary and do you think your race will go down in Boston Marathon lore as one of the more historic top finishes? SS Yes, it probably will. I don’t want to take anything away from what Des Linden did as that was truly the historic moment of the day and that is still mind-blowing what she accomplished. But in terms of an unexpected and unprecedented finish, that is probably what my finish was. It’s crazy, and I don’t want to blow it out of proportion, but that wasn’t supposed to happen. GCR: The weather was so challenging this year, and in my twelve Boston Marathon races it has been windy and cold some years and as hot as ninety degrees other years. With temperatures this year in the low forties, the heavy rain and very strong headwinds, did this terrible storm turn into a perfect storm for you and for Desi and why were you so tough relative to other competitors who had raced so fast previously but who didn’t do well in these very adverse conditions? SS That’s a good question and I’ve wondered the answer to that. In terms of mental preparation obviously the women who were ranked ahead of me have got it. There were ten women who had run sub-2:23 in the field, so they have the mental toughness. I think there is a physiologic aspect where some of those incredibly tough runners, for whatever reasons, the weather affected them in a way that they weren’t able to mentally push through that physiology factor. If there is a reason for my mental toughness, it started at a young age when I would be out on the trails with my dad and there was snow on the ground. We would go on night hikes in the snow and do unconventional ways of having fun. If that was a factor, it was probably just my upbringing of being out there in the elements and not ever having an excu se to not be out there. GCR: You mentioned Desiree Linden and what she did as she raced tremendously to win by over four minutes, but she spoke afterward that she thought several times that she would drop out and not finish the race. We saw more than once where she was helping Shalane Flanagan and helping Molly Huddle instead of focusing on her race as she thought she may not finish so she may as well help other American runners. Could you imagine if she had dropped out and your improbable second place had moved up a notch to champion as that almost happened? SS I can’t imagine that. I can’t even imagine what really happened, but if that had happened… I don’t know exactly how that would have gone. GCR: Let’s chat a bit about your training, race plan and details of the race. What was your initial race plan if the weather was good and how did you and Coach Pilkington adjust it to optimize your race performance? SS Going into the race my number one goal was the 2020 Olympic Trials ‘A’ Standard of 2:37. I thought that a stretch goal would have been low 2:30s. Then with the forecast being what it was those goals went out the window. The new goals were just to compete and to push myself. When I talked to my coach a couple days before the race, we discussed the headwinds and rain and decided that time wasn’t going to be a factor and that it would be about trying to conserve early in the race. Obviously, in a marathon you always need to conserve and have some gas in the tank for the last 10k. But with the weather as it was, that was crucial to be relaxed and comfortable for the first twenty miles and to not let the weather take my energy away early on. GCR: Even though your marathon racing was limited to your one previous race, which you won in 2:44 last fall, your collegiate 10k times predict a 2:31 marathon with the Race Time Predictor devised by Pete Riegel, and published in Runner's World. Of course, this is if, all things being equal, you are as adept at the marathon as at the 10k distance. Even though you were relatively unknown in marathon racing circles, didn’t your talent and recent training indicate that you were ready for a big improvement, maybe not second place, but a large improvement? SS Exactly - my training had gone really well. This is basically the first good training block I had put in since college which ended in 2013. On the one hand I was excited as to what I could do in Boston, but I didn’t want to set unrealistic expectations and then be disappointed with what happened. GCR: How did you devise your training for your first marathon last fall, what were some highlights and what did your former collegiate coach, Paul Pilkington, do to tweak your training regimen when you asked him to coach you in the months leading up to the Boston Marathon? SS My training going into the Huntsville Marathon, my first marathon, was just distance. I didn’t do a single speed workout, no tempo runs and no marathon specific long runs. I just literally ran distance runs. That was because I graduated from Nurse Anesthesia School in May and then summer was pretty busy moving across the country and starting a new job. So really when I should have been putting in marathon specific training it was kind of a crazy summer. I was sick for a lot of summer and I never put in any marathon specific training leading up to Huntsville. I actually was not in contact with Paul Pilkington and he wasn’t back as my coach yet. My brother had told me he wanted to run the Boston Marathon, so at the last minute I decided to sign up for Huntsville and to run it. I hadn’t even decided specifically on running a fall marathon, but I thought it would be fun to run in Boston at the same time as my brother who was going out there. I knew I had to get a qualifying time. I knew about the Huntsville race with a huge elevation drop and, since I’m from Utah, I could go home for a few days and run the race. I definitely did not account for how sore my legs would be after the race, but that is how it went for Huntsville. Then when Coach Pilkington started training me he changed everything as I was actually doing marathon specific training for Boston while for Huntsville it was just winging it with distance runs. GCR: What was your average weekly mileage for the four to six months coming into the Boston Marathon? How about your longest training runs - how many do you do and at what pace? And what were some of the other marathon specific elements of training that you did? SS My average before Boston was about ninety miles a week. I hit a hundred miles a few weeks in a row. I did some long runs with a warm up and cool down. The best one I did was between nineteen and twenty miles and it was just under six minute pace per mile. It was kind of warm that day and the route had rolling hills. I felt very strong that day. It was nothing out of this world but, based on the conditions, I thought it was a good predictor that the marathon would go well. GCR: The Hanson training method incorporates repeat two miles and, when I interviewed Desiree Davila, now Linden, after her second place in Boston in 2011 and when I talked with Brian Sell, they spoke of these long repeats. Did Coach Pilkington have you do any lengthy repeats like two miles or 5ks? SS We did some tempo runs where I would take breaks every three miles, so it was that same type of workout. GCR: What did you do in training either on the course or in other hilly venues to prepare you for both the up hills and down hills of the Boston Marathon as there is that downhill grade early on, that strong downhill around mile sixteen and more downhill in the end, plus there are the five up hills between 17 and 21 miles? SS Pretty much all of my distance runs are pretty hilly so that helped. I actually didn’t do any hill repeats or training just on the hills. But all of my hard distance runs and tempo runs were on terrain that is not flat. I think that helped. GCR: When I was in marathon training I would still do some fast repeat 400s and 200s like I did in college when I was training for the 5k and 10k distances. Did you do any short and fast workouts for sharpening and leg turnover prior to Boston? SS Yes, we did do some 400s and other track work. GCR: Let’s talk about some specifics during the 2018 Boston Marathon. The early miles were relatively easy and the lead pack was large. Were you just getting your bearings and how did you feel early on when you were settling in? SS Early on it was weird as the pace went out super slow. I don’t really remember what we came through at the first mile but it was around 6:20 I think. And with the net downhill in the first mile it felt super slow. At the Huntsville Marathon I had bonked pretty badly the last three miles, so I was trying to tell myself that the weather was going to be a huge factor and I wasn’t going to do anything stupid early on. GCR: When the pace quickened and the lead pack pulled away what did you do to maintain the best pace for you and did you run along with any particular runners? SS I tried to make moves slowly, conserve energy and tuck in with groups. So, I felt pretty comfortable. The first ten miles of the race I was with groups of other women for the majority of the time. But there were several sections where I was kind of running by myself. I had been with a pack, then the pack had kind of slowed and so I had broken off and was trying to catch up to another pack of runners. There were several miles where I was fighting the elements. GCR: Did you get into a groove while you were running or did the weather, which ranged from bad to worse, make this difficult? SS I’m used to running a faster pace so my leg turnover felt different. Then I never felt comfortable in that kind of headwind as I never felt like I hit a kind of rhythm. I could never settle in and relax. I was trying to conserve while aiming to maintain my forward momentum. GCR: From the 20k point around Wellesley to the 35k mark just after Heartbreak Hill you moved up from around 25th place to 12th or 13th place. How were you feeling with less than five miles to go and did you have any idea of your place at that point? SS I had no idea of my place. I started out really conservatively and then some time before halfway, around miles ten to twelve, there is a section where I was off by myself again. I was very worried because I felt that the headwind was really affecting me, my pace was struggling and I was getting fatigued at an early point. I looked over my shoulder and there was a pack of women behind me that was catching up to me. So I actually slowed down to 7:30 or 8:00 minute pace for thirty seconds and let them catch me. I tucked in and ran with them for several miles. Rachel Hyland, who ended up fourth, made a move off of the pack. I was pretty comfortable, covered her move and went with her and ran with her for several miles. Then I kind of waited until after Heartbreak Hill to make any other moves. Going into the race I was nervous for the hills, but I felt pretty good and I realized that was probably my strongest point in the race. GCR: As I mentioned, I’ve raced the Boston Marathon twelve times and I never did a negative split – my closest was a twenty second positive split. Bu you raced the second half marathon six seconds faster than the first half marathon and, when they checked the times, you ran the fastest split from 30k to the finish, even faster than Desiree Linden. As one by one you were passing women runners over the final few miles, did this fire you up and did you realize how relatively fast you were racing in those tough conditions? SS For sure as I was passing some of the big names in the field it became very surreal. That was probably the point where I felt like it was a dream. I had tried to visualize the race beforehand and to be mentally prepared, but I was not mentally prepared at any point to have pictured me passing the women I was passing. I got really excited but it was kind of this confused feeling. It wasn’t what I had anticipated, but it was super exciting. GCR: In the last half mile of the race there is the right turn onto Hereford with a slight uphill and then the left turn onto Boylston Street. How did you feel coming down Boylston and finally ending your long race in the horrendous weather? Was there a feeling of happiness that this marathon was coming to its conclusion and you could get warm? SS Yes, for sure. I feel like the last five percent of any distance race you are just hanging on for dear life. That’s definitely the point in the last stretch. Coming down the home stretch it was actually a crazy feeling. I felt like it was just this screaming tunnel. It was so loud. I could see the finish and I was just fighting to get to the finish and hoping that no one was making up ground on me. I was kind of out of it and not thinking super clear at the end of the marathon. But I remember a few thoughts. I was thinking that the crowd was just going crazy so I figured I must be doing really well. Then Yuki Kawauchi, who won the men’s race, passed me with maybe a hundred and fifty meters to go. When he passed me I thought then that maybe they were cheering for him and not for cheering for me. GCR: I believe they were cheering for both of you. And did you have any idea of about what place you finished, was it a shock to hear you were second and did it take a while to register? SS Yes, I’d say it took a week to register. I crossed the finish line and I stopped my watch out of habit. Then I asked the official who was standing there, ‘What place am I? What place am I?’ He said, ‘Oh, you’re second.’ I said, ‘No, what place?’ And he kept repeating several times, ‘You’re second.’ And still I wasn’t sure if this was reality. I remember thinking it was a surreal feeling. I was cold and hurting and it was raining and these were all things that told me this was real. But it can’t be real because this doesn’t happen. GCR: What was it like to experience hugs from your husband, congratulations from race officials, receiving your award, press conferences, numerous interview requests and the whirlwind of excitement after the race? This must have been nothing like what you expected except the hug from your husband? SS It was just crazy because I’m not a very public person or definitely not a notorious person by any means. I was walking from the finish line to the hotel and there were lines of volunteers and officials and other people cheering. I remember thinking, ‘This must be what it’s like to be a famous runner which I am not. I’m just someone who wakes up early and does her own thing.’ It was really crazy. GCR: I read that your dad was trying to get to see you after the race, he was getting stopped and he didn’t know why. Evidently he didn’t know what place you had finished and that must have been surreal too? SS I didn’t see my parents for a couple hours after the race. They were at the start and I saw my mom there. They were also at mile twelve. My dad dropped my husband off several blocks from the finish, the closest where he could drop him. My husband managed to make it to the finish. My dad parked the car and the logistics of the Boston Marathon made it difficult for him to get to the finish line. He didn’t know what place I was in until quite a while after the finish. GCR: How joyous has it been that day and in the month since then to share the excitement of your finish with family, friends, Coach Hall from high school, Coach Pilkington and co-workers? SS That’s probably been the coolest part. I’ve always set goals for myself, but seeing how excited everyone else has been has been very motivating. It’s probably been the best part of all of this. GCR: Before we chat about some of the details of your early running and racing, going back to high school and college, you were a very good runner, but nothing could have predicted your prowess now on the world stage in the marathon, just like it didn’t predict that great runners like Bill Rodgers and Ron Tabb would race so strong. You raced track, both indoors and outdoors, and you raced cross country – which was your favorite? SS I think I did the best in outdoor track. I always wished I did better in cross country, but I feel like for whatever reason I was always sick at the end of cross country season. I could never get to the end of cross country healthy. GCR: As a youth did you play a variety of sports and how did you become interested in distance running? SS I dabbled in everything growing up from ballet to ice skating, soccer, gymnastics and it was fun doing all of them. I wasn’t particularly good at any of them. I kind of started running in middle school when my parents moved to a house that had trails going right through the back yard. They started running on the trails in the early morning before school and I started going with them. I remember there were some other girls in the neighborhood who were a little older than me and who were really good at running. I kind of looked up to them and thought it would be kind of cool to get into the sport. It was fun to be out there with my parents in the morning. GCR: Sometimes young athletes are fortunate in that they happen to have a good running program at their school. Ogden High School had a strong program in both track and field and in cross country. What did Coach Don Hall and Assistant Coach Alydia Barton do to develop traits that made you a better runner and racer? SS I think they were huge in both teaching me how to work hard and to put in the work. One of Coach Hall’s favorite quotes is that ‘Hard work beats talent when talent doesn’t work hard.’ Starting out going into high school running I didn’t look like I had the most talent. But Coach Hall always had a lot of faith in my ability to work hard and he would tell me that. He saw me as a really hard worker and that encouraged me to keep working hard. Now as an adult when I look back I realize the amount of time that he and Alydia Barton put in while they were getting paid very little to do this and it was insane. It was definitely key how they taught me to work hard and to love the sport. GCR: I did quite a bit of reading about Coach Hall and his success as a coach and background in the military is outstanding. How did Coach Hall’s advice to ‘remember the four p’s - position, pace, push and pray,’ form the framework for your racing success even today? SS He was always having meetings before and after practice where he would kind of give a little speech. I feel like high schoolers aren’t very forgiving and tend to give coaches and adults a hard time and he put up with a lot of flak from us. But the things that he would say on the bus before meets and after practice would come back into our minds during races. One of my favorite things he would do is when we would travel to a meet; before we all got off the bus he would stand up at the front and give a little speech. He would always end with, ‘Amen!’ We would all have to say ‘Amen’ and ‘Halleluiah.’ I loved routines like that which Coach Hall did to get us pumped up. It was fun for the team. GCR: Cross country is both a team sport and an individual sport. How exciting was it when your team won the State title in 2008? SS Oh, that was super exciting. It is one of my favorite memories of running in high school. Cross country is real unique because it is a team sport while everyone has very different talents. Looking at our high school, it is definitely a diverse school which helped us because we came through different socioeconomic status and backgrounds, but track brought us all together. It was pretty cool to see the hard work pay off. If you look at some of the teams we beat and the number of participants they had, they dwarfed our team and it was pretty cool that we were able to come together and to pull that off. GCR: When I looked through your high school race results where I could find them, there were several individuals who seemed to be constantly in the mix with you in your high school cross country competitions. Could you comment on your teammate, Chloe Calton and your rival from Logan High School, Taylor Thornley, who became your future college teammate; and any other teammates or rivals that stand out from high school cross country and the competitions and camaraderie? SS Chloe was one of my best friends when I was growing up and was a huge factor in my success, not just in running, but a huge support. She was my teammate all through high school so we trained together pretty much every day of high school. We just fell in love with the sport together. She has incredible talents and still does. She is a great runner and for a lot of high school I was chasing after her. She definitely in terms of leg speed could outkick me and I’m sure she still could today. There was a friendly, competitive nature to it. We both always wanted to see each other succeed because we both saw how far the other would work. Taylor was my teammate through college and we have been great friends since then. She has had huge success in the marathon post-collegiately. To top off the whole story of not looking at previous racing times to see what kind of success you could have, Taylor is a huge testament to that. Taylor did well in college, but she just ran a 2:35 marathon last fall. Based on her collegiate times she has done very well post-collegiately and has made huge progress. It is a testament for her ability to put in miles for many years, to stay healthy and to be smart. It’s also a testament to our coach, Paul Pilkington, and how he has been able to develop runners over the years. He is a great example of a coach who really looks at long-term success and who doesn’t look at shortcuts to get fast right now. GCR: During track season you tripled in the 1,600 meters, 800 meters and 3,200 meters quite a bit. Your senior year you won all three at your County meet, and the two longer races at Region and State along with a third place in the State 800 meters. What in your training and mental preparation had you ready for three races in the span of a couple hours? SS In terms of running multiple events, that is the only way I knew of competing in meets. In track part of the challenge to me was seeing how I could do in different events in the same meet. Since we were a smaller program, the team needed me in all of those events. We didn’t have a huge pool of runners to run in all of the events. GCR: Do any of these races stand out for the tight competition, race tactics you used, a strong kick to secure your victory or for setting a record? SS The 3,200 meters was always my best event in high school and a race that stands out the most is when I won the 3,200 meters at State. It’s kind of a crazy story because my sophomore year in high school my Biology teacher, Clay Christiansen, would always talk to me about running. He was a huge supporter and always made me feel like I was the best runner he had ever met. During that sophomore year he kept saying that I was going to get the State record in the 3,200 meters. He would say that a couple of times a week. I would tell him that he had no idea what that means and that I was nowhere near that. But I looked up the State record and it was 10:49. So I decided to set a goal and I wrote down on a three inch by five inch card, ‘10:46.’ It was on my mirror for a couple years and at some point I took it down. Before my senior year I kind of forgot that I had set that goal. At the State meet I won the race in 10:46. That wasn’t my goal anymore, and I didn’t realize until after I crossed the finish line and ran 10:46 that that was the time I had written down. I found that I had the card with the goal I had written down over two years before and that was pretty neat. GCR: Which colleges were you deciding between attending and did you select Weber State for academic reasons, proximity, its distance running program and coach, or a combination of factors? SS It was a combination, but the distance running program was the biggest factor. It was a huge and stressful decision – definitely the most stressful I had made until that time. I had several offers from bigger schools including larger scholarship dollar amounts from big programs. Weber State was very generous and gave me a great offer. Ultimately, I decided to go there because of Paul Pilkington. He had coached Lindsey Anderson, who went to the 2008 Olympics right before I started at Weber State. I saw the success he had with Lindsey and she was kind of like me – a good runner in high school but not national caliber. He just developed her over her years at Weber State to the point where she went to the Olympics in the steeplechase. I just had a huge amount of respect for the type of coach he was. I’m sure the other programs that recruited me had great coaches as well, but Coach Pilkington was a known factor. He coached in a way that I felt I would do well under, so that was the leading aspect of my decision. GCR: At Weber State you moved up in distance and focused on the 5,000 meters and 10,000 meters. What were the major changes in your training mileage and what key workouts did Coach Pilkington have you do in college versus high school as you moved up to the longer distances of 5,000 meters and 10,000 meters? SS When I went into college I thought I would max out at the 5k. I called the 10k the ‘popcorn event’ because that was when people would go eat popcorn because it was so long. I had no aspirations of becoming a 10k runner but, ultimately, that was my best event. In high school and college I was always a relatively high mileage runner. I was averaging about 85 miles a week in training for the 10k. Even in high school as a senior I was running about 60 miles a week. In getting ready for the 10k we did a lot of tempo runs. Tempo is a key for 10k and also for marathon training because it teaches you to get as comfortable as you can at that threshold pace. It helped me to be able to handle and process as much lactate as possible without going overboard. We would also do ladder breakdown workouts of 1,000 meters, 800 meters, 400 meters and 200 meters and a few sets of that. And we often did a lot of 1,000 meter repeats. 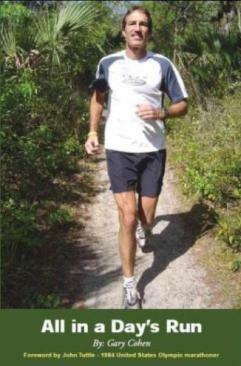 GCR: What were key points in the big picture of training, mental preparation, nutrition, weights, flexibility or other areas that you learned from Coach Pilkington that stepped up your overall approach to running from high school to college? SS We definitely did more consistent lifting in college. We always lifted after hard workouts when we were a little bit fatigued. That meant that our recovery day was really a recovery day. In terms of mental preparation he would keep it pretty simple, but the things he would tell me before races, just like with Coach Hall, would come back to me during the races. Sometimes fewer words are better and he did a good job of just keeping it straightforward with what I should focus on during the race. GCR: You mentioned about Coach Pilkington developing 2008 Olympian, Lindsey Anderson and she joined Coach Pilkington’s staff as an Assistant Coach about halfway through your days at Weber State. What was Lindsey’s influence on you as an athlete? SS Lindsey was huge as she trained at Weber State for the majority of the time that I was there. So I would run with her pretty consistently. I looked up to her in basically every arena. I remember Coach Pilkington at my freshman cross country camp saying, ‘Find someone who is good at what they do and then copy what they do.’ I was Lindsey’s copycat. I lifted the way Lindsey lifted. I did morning runs the way she did morning runs. Since Lindsey was incredibly successful, I just tried to pattern what she did. GCR: In high school you may have struggled a bit late in each cross country season, but you had collegiate cross country success with three top five individual finishes at the Big Sky Conference Championships. Thinking back to your excitement when your Ogden High School team won the cross country State meet - how great was it your junior year in college when your top five all finished in the top fifteen and Weber State won the title with 40 points to beat Idaho State by ten points? SS That was pretty awesome. The Big Sky Conference is consistently a very competitive conference. It’s cool that Weber State has the majority of its runners that are fairly local. That makes it nice to see what we were able to do as a team with talent that was from Utah and close by. GCR: The following year was an unbelievably tight team battle as Amber Henry, you and Taylor Thornley went one-two-three and your top seven runners were all in the top twenty to nip Southern Utah 29 to 36 points. How tough of a competition was that and was the repeat even sweeter than the previous year? SS That year Amber was a huge team leader. She was probably the reason that we were able to pull it off as a team. She was coming from being a shorter distance runner as she was a miler and steeplechaser. Her transition to cross country and pulling us together as a team is what brought us together that year. GCR: Let’s switch gears and chat a bit about track and field at Weber State. Your freshman year you were seeded seventh in the Big Sky Conference indoor 3,000 meters and finished third. Did you find that you liked indoor track and what do you remember from that race which earned you a Bronze medal, your first medal in the Big Sky Conference? SS Indoor track is kind of a fun event compared to outdoor track which is more serious. As a freshman there were a lot of good women from other teams in the conference. That was kind of a surprise finish, but it kind of gave me confidence for the upcoming outdoor championships and what I could do. GCR: That same year at the Big Sky Conference outdoor meet, your 35:57.85 nipped Kortnee Burton of Northern Arizona by just over five seconds in the 10,000 meters, while your margin in the 5,000 meters where you won in 17:32.95, was nine seconds over Katrina Drennan of Montana. Did you push the pace early or try to make a move with a couple laps to go or win with a kick? What kind or racing style were you developing as you won your first two conference titles? SS I remember going into that conference meet that I had a better chance of winning the 10k. I kind of sat back in that race because I was more confident that in the final couple miles of the race that I’d be stronger. Honestly, in the 5k I didn’t think I had a shot at winning. I was pretty shocked when I won that. I made a move early in the 5k. Katrina had run faster than me that season and had beaten me all season. I kind of went out from the gun. I was tired from the 10k and just was winging it to try and see what happened. I got like a hundred meter gap. I went out at a stupid pace and no one went with me. I just held that gap. I slowed my pace but held that 100 meter gap throughout the race. No one came after me. I was thinking, ‘Do they know that if they come up here that I’m bluffing? I probably won’t be able to hold them off.’ But somehow no one came after me. GCR: Your sophomore year you didn’t compete at the Big Sky Conference meets in cross country or indoor track. Did you sustain an injury and, if so, what did you do to return to form for outdoors? SS That year I got a stress fracture in my tibia towards the end of cross country season. I did use up my eligibility. It was diagnosed the week before the Big Sky Conference meet and that was super disappointing because we had a shot of winning as a team. When I wasn’t in the picture that became more difficult, so I felt that I was letting the team down. That was pretty rough. Then I red-shirted that indoor season and just tried to get healthy. In terms of getting ready for outdoor season, like a lot of distance runners I was a maniac when it came to cross training. There was this progression. When you get a stress fracture you get banished to swimming for weeks. Then you get upgraded to biking. Then you get upgraded to the elliptical machine and eventually you get upgraded to running. I feel like I killed myself in those stages of swim, bike and elliptical. So when I was actually able to run I was probably as fit as when I was running. GCR: Despite your injury and missing indoor season, you repeated your two conference outdoor championships your sophomore year with the big difference being dropping your times to 34:37.53 and 16:43.95. Were you really getting used to the longer race distances or were there any significant changes in your training when you resumed running? SS I don’t think I did any huge changes. Coach Pilkington has a great strategy for long term progression. It was just a manifestation of the way he coaches. His athletes are going to progress year by year. GCR: Just like at your important high school meets, you were very busy at the Big Sky Conference indoor meet your junior year as you won the 3,000 meters and 5,000 meters by margins of two seconds and seven seconds, respectively, over Idaho State’s Bradi Hutchison. You also were runner up just one second behind teammate Amber Henry in the mile. What stands out from these three competitions and how thrilling was it for your team to take home the team trophy? SS That was pretty exciting as I’m not a miler by any means. It was actually fun in college to step into the mile because it was kind of a no pressure situation. It wasn’t really my event so I just went out to see what I could do. It’s a relatively short race so it’s exciting coming down from the 5k and 10k. The mile is just like a sprint to see if I cannot die. It’s not as much as a mental battle for me as in the long races. So that was a fun race. Bradi, who ran great for Idaho State, beat me at several meets over that season. She beat me in every one of them. I remember in all of the other meets she would outkick me in the end. She would hang back behind me and the last lap or two she would outkick me. So going into that conference meet my thoughts were that I wasn’t going to let that happen this time. I didn’t lead a single lap of either of those races until the end. I turned that around and sat back the entire race and then with like 600 or 800 meters to go I dropped the hammer and kicked it in. I didn’t do any of the work in the middle laps. GCR: That’s cool that you came up with a different strategy which led you to win. Did Coach Pilkington talk with you and devise a change of strategy that might put you on the top step of the podium? SS I think he probably told me not to be stupid. I had been kind of stupid in those other indoor meets where I went out hard and then faded and was outkicked. He told me that these races weren’t about time because they were at high altitude. They were about trying to conserve and have a half decent kick so I should save it for the end. GCR: During outdoor season you repeated your 10k and 5k titles for the third straight year by huge margins of 41 and 27 seconds, respectively. Was it nice to win but did you almost wish you had someone there to push you and to compete with? SS Honestly, it was nice because there was no pressure. I was pretty confident because I had run a 32:51 for 10k that year and that was the third best time collegiately in the country. I was confident going in that I could take it from the front and be relaxed. My goal for that conference meet was to win but to go as slowly as I could. I was trying to get ready for Regionals. GCR: With one of the top times in the country, obviously you were aiming to advance to NCAAs. How did that ultimately play out? SS That was pretty disappointing. I felt like the story of my running career was almost making it. My junior year in high school at the Footlocker Cross Country Regionals I was the first person to not go to Nationals. Ten people go and I was eleventh. My last two outdoor seasons in college twelve people go from Regionals to NCAAs, and I was thirteenth both years. So I had three races where I missed Nationals by one spot. That was very heartbreaking. The story of my running career was never quite making it. I think one factor in being thirteenth at Regionals two years in a row is that we competed in Austin, Texas and it was hot and humid. I was coming from training in Utah all winter where I was running in 20 to 30 degrees and snow. Mentally, I was there and I did everything I could. For whatever reason I wasn’t acclimated and wasn’t able to run in the heat like I should have. GCR: You experienced a major injury during your senior track season. Will you describe the injury and how it affected you for many years afterward? SS It was early in the indoor season of my senior year when I started feeling a nagging pain in my left foot. I ignored it for several weeks. It was getting worse but, as a distance runner, I feel like you’re injured or you’re almost injured and you’re trying to decide which it is all of the time. I thought I was still in the almost injured phase. I went to the Last Chance Indoor Meet in Washington which is one of the last meets in the country where you can try to put down a fast time for Indoor Nationals. So I went up there and Amber Henry was going to run the 5k with me. She was going to pace me which was incredibly selfless of her. She planned to be pacing me for what would be a Nationals qualifying time for half or two thirds of the race and then I’d take it from there. She was incredible. She was right on pace and just where she needed to be. If I ever have an injury I don’t notice it during a race because of the adrenaline and excitement. I don’t notice until afterward. But in this race around halfway my foot had this sharp pain. My form was changing and I wasn’t running normally. I kept telling myself it didn’t matter and that I had to get the qualifying time. I kind of held onto the pace until a couple of laps to go. But the pain in my foot was excruciating. My pace just dropped off the face of the planet. Amber ran a great race and she finished well. I finished the race and wasn’t close to where I needed to be to qualify for Nationals. I was really angry at myself. I thought it was just me giving up and not being able to push through the pain. When I went home the next day I found out it was a severe stress fracture of the navicular and that’s not a bone that heals well. In the particular area where I had the stress fracture it predisposes it to forming a non-union. I knew that meant the end of my collegiate running. GCR: That happened in 2013, so will you describe over the next two to three years what you did in terms of taking time off, slowly getting back into shape and then when you finally were able to get into more of a normal training regimen, maybe not like in college, but pain-free and injury-free to where you could think again about racing? SS There was a solid year without running. I was in non-weight bearing mode for six to twelve weeks which was the start of a full year off of running. For about two years after that there was a slow progression from swimming to biking to the elliptical trainer. But this time, rather than making that progression over a few weeks at a time, it went on for months. I swam for months and I hate swimming. I made a really slow progression and maybe about a year and a half out I started doing some slow runs on an Alter-G treadmill. It really wasn’t until probably close to two years out that I was doing any consistent running. By consistent it was probably three days a week. Even then, every time I would start building up my foot would start hurting again. With the high likelihood of it being a non-union injury, I knew I had maybe one shot to get it healed and if I was stupid and didn’t let it heal that it was going to be a long nagging injury. 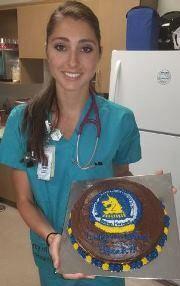 During that time I decided to go to nurse anesthesia school in Florida, so I applied and was accepted out there. Then during nurse anesthesia school from 2015 to 2017 I worked back up eventually to running four or five days a week. I did a few races during that time and those races were all off of distance runs. Every time that I would try even doing strides where I was up on my toes or running fast my foot would hurt for days afterward. So I didn’t do any speed work my entire time in nurse anesthesia school. I ran a couple half marathons. One of them was coming straight from the night shift. I got off the night shift at work at 7:00 in the morning and ran the half marathon at 7:30. I ran times around 1:19 or 1:20, nothing fast timewise, but I just wanted to get back and do a couple races to test out how my foot was doing so that once I graduated school hopefully I could put in a good training block and start racing again. GCR: You were at Barry College in Orlando and I’ve lived in the Orlando area since the 1980s so I am very familiar with its vibrant road racing scene. When you were racing for two years in races such as the Lady Track Shack 5k and OUC Orlando Half Marathon, did you like the local racing scene and find people you could train with even though you weren’t at full speed? SS I met a lot of great runners in Orlando. I actually didn’t train with any of them. My schedule was pretty sporadic and it was usually dark when I was running. Whether it was early before clinical shifts or afterward, I never trained with anyone, but it was fun to run into some of the same people at the races. GCR: Flashing forward to the present, you are back into your routine as a wife and a full time nurse. What are your racing plans for this summer and fall, will there be any changes to your training program as you most likely prepare for a fall marathon and how has your finish in Boston impacted your outlook? SS I’m definitely getting ready for a fall marathon. I don’t know which one yet. I haven’t decided. Hopefully it will be one with a fast course because I need a better marathon time. That’s for sure. In the meantime I’m going to do the New York Mini 10k on June 9th and the Desert News 10k on July 24th, so sort of some shorter races over the summer. Ultimately I want to focus on a long-term progression toward the 2020 Olympic Marathon Trials. I definitely don’t want to oversell myself. I don’t know what I’m capable of. But definitely being as prepared as I can be to do well at the Trials is my goal. I’d love to run some fast races now to see what I can do but, ultimately, I think it’s going to be a progression to try and get stronger and faster so that when the Trials come I can put down the best race that I can. GCR: Like you said, if you can get a fast time this fall and then figure out how to improve five seconds a mile in the next six months, which is two minutes in a marathon, and then in the fall of 2019 drop another five seconds you could be much more in the conversation. By laying down a low 2:30s this fall and improving twice by a couple of minutes then suddenly you’re 2:27ish and you’re right in the mix. The U.S. women’s marathon scene is strong and deeper than ever with veterans Shalane Flanagan, Amy Hastings and Desiree Linden, fast young runners like Jordan Hasey along with newcomers at every turn. How tough will it be just to make the team for the 2020 London Olympics but, if you can get your time down, is this a goal that is on your radar? SS Yes, definitely. All the runners you have listed have done incredible things in the sport. It’s just exciting to me because I feel like Boston sort of shattered whatever ceiling was above me. I kind of had pictured myself that the kind of runner I am is one who is always chasing big goals but nothing that would indicate a second place at Boston. Granted, the conditions at Boston made for a very unique race but it gives me confidence that I can put in the work. It gives me confidence in my coach because he does really have a long-term perspective. My number one goal is to stay healthy because I know what it’s like to have what can be a career-ending injury. I don’t want to take shortcuts that will lead to injury later on. If I could be in the mix, who knows what could happen. I have nothing but respect for the women who are already in the mix. Who knows if I can be up there, but I’m definitely ready to put in the work to see if I can. GCR: Of course it is tough when you have a full-time job but it’s not out of the question as Yuki Kawauchi, who won the men’s race at Boston, works full-time and a lot of runners did so in the past before the age of professionalism. Has there been strong interest from major shoe and apparel companies or other potential sponsors which could in the next couple years lead to you focusing on being a full time runner at some point as you train for the 2020 Olympic Trials? SS I did just sign with Altra running over the weekend and I’m super excited to be joining them. But it terms of being a full-time runner, I don’t think I’ll ever be full-time. I just want to get a better balance between working in the hospital and running. I think that has been a huge factor in getting injured previously in that I don’t get sleep consistently and enough recovery. Long-term I have put in a lot of time and effort and money to become a nurse anesthetist. If I quit and became a full-time runner, that would be throwing away a stable long-term plan. If anything I’ll try to cut back my hours and get a better balance. But I don’t think I would ever quit being a nurse anesthetist completely. GCR: Earlier you touched on your family and the trails you ran with them behind your home. It seems that many athletes who excel come from hard-working families where much is expected and their family offers great encouragement. How did your upbringing form your character and make you not just into the runner you are, but into the woman you are today? SS Both of my parents instilled every value I have in me. If I have any good values it is because of my parents. They’re both incredibly hard workers. My mom is a stay-at-home mom and I have six siblings. She puts in untold hours supporting each of us. Her success is never recognized. I remember seeing the type of hours she would put in to take me to my track meets or to drive me to the track at nine o’clock at night to run when I couldn’t run during the day. I always felt when I was growing up that she sacrificed outward success that I’m sure she could have achieved in order to put in the behind-the-scenes work to allow me to have outward success. That was definitely a key factor. With my dad it is the same kind of thing as he is an incredibly hard worker. He wants to go out on the trails to run at night. There is never an excuse to not go outside and to not be enjoying nature. I was disappointed in the weather at Boston because I wanted to put down a fast time. But my upbringing of never being afraid that the weather was going to stop me from doing something was a huge factor. GCR: After all of the great advice and learning you received from your parents and from Coach Hall and Coach Pilkington, if you haven’t yet, you will now get asked to speak to younger runners who will be looking to you for tips. What advice do you have for younger runners to improve consistency, minimize injuries, help them reach their potential and encourage them to have running as a happy lifetime adventure? SS There are a few key points. One is to not trade long-term success for short-term results. That relates specifically to high school and college women who are running. There is pressure to be as small and as light as you can to run fast. There is a distinct possibility that can make you fast in the short-term. But it will lead to long-term injuries. Some of that pressure is what contributed to me having a collegiate career-ending stress fracture. The constant pressure of trying to be as small as you can to run fast means that long-term you’re going to have to deal with those consequences for the rest of your life and it’s not worth it. In terms of love of the sport, I think it takes having an attitude of gratitude – being grateful for your health and grateful for the opportunity to be out there racing, being grateful for the pain because that means that you’re pushing yourself and you’re improving and being grateful keeps it from becoming boring and becoming more of a chore. GCR: We’ve talked about running, but if you look at life as a whole and the lessons you’ve learned – whether it’s athletically, academically, the discipline of studying and athletics, balancing the many components of life and recovering from adversity you have faced, how is that summed up as the ‘Sarah Sellers Philosophy’ of being your best? Even though you are only in your twenties, how would you put that into words? SS In college I always had the goal of being an All-American but, as I said, I ended up as the first person to not go to Nationals twice and then I ended up with a navicular stress fracture. At the time I felt that my collegiate career was somewhat of a failure even though I’d gotten the Big Sky Conference record in the 10k and I achieved some very good things. I never found much happiness in those successes because they weren’t my stated goal. So, I would say to set goals because goals give you something to chase after and they give you a reason to get up early in the morning and to put in the miles and they give you motivation. But then when it comes to racing, be happy with what happens. Be happy with the progress you’ve made, the effort you’ve put in and the fact that you are out there pushing yourself. It’s easy to think that when you achieve a goal or reach what you are working for that then you are going to be happy. Ultimately, if you’re not happy each day putting in the work, then even if you do achieve whatever you are chasing after, you aren’t going to be happy when you achieve it. I think that happiness and success are found in the everyday decisions and is found in the progress you make. I can’t just conjure up happiness out of nothing, but if I try to turn it into being grateful I can always find happiness. Even if running isn’t going well or I’m unable to run, I find reasons to be grateful for other things in my life and that brings me happiness right now. Again, don’t be thinking that when you finally achieve what you’re chasing that you then will be happy.